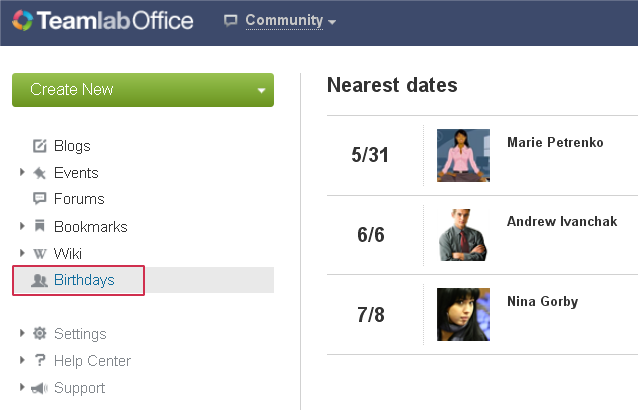 Spring never comes alone and this time we’ve prepared major enhancements for your cloud office. For starters – improved time and payment tracking, guest users as a main course and other pretty little cookies for dessert. 1. Working with clients and freelancers becomes easier. · Billed – for the hours that have been paid already. The payment status can be changed only by administrators or project managers. Get a better view of the new feature from our video guide. 2. Invite your clients to TeamLab Office! Guests status is officially released. 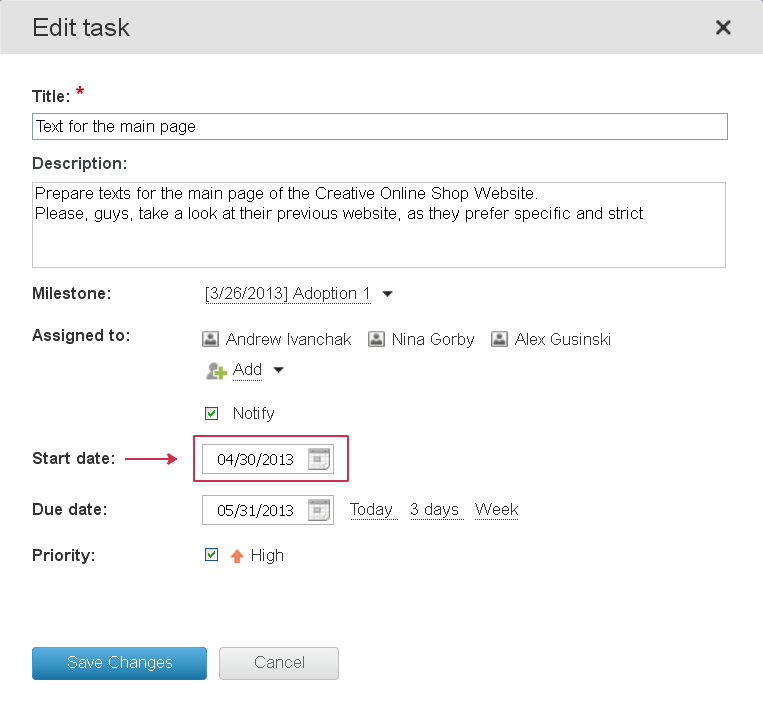 You can add guest users to your project and enable them to view and comment tasks, discussions and download documents. 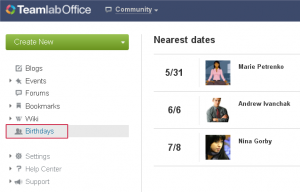 Your portal guests will not be allowed to create tasks and files, view CRM and People modules. 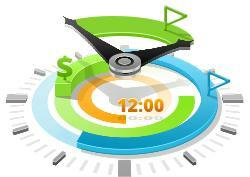 Guest users are invited for free, so the price is still based on the number of “active users”. See the detailed post about TeamLab Guest status here. 3. What else is there in 7.4? 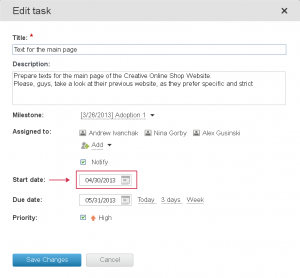 You will be able to set starting time for each task and use it in search and filter. Users’ birthdays tracking. Make sure you don’t forget to congratulate your teammate! New video-guides shown right in your portals. Thank you so much! These features, especially the guest feature, is really helpful. Not Chargeable is also a must have for us. Thank you! Thank you for your warm feedback! i have 1000s contacts that will connect with many websites. or a client registers at my site to be listed in my biz directory. my site uploads all contacts to main/sub database at teamlab.com. is this possible. sugarcrm tells me yes! Hello, Sagar! You can get use of a website contact form. You embed the generated source code into your website and your leads’ contact details will be automatically added to your client database. See the details here. Hi, some info about opensource version 7.0 ?! Last info was, that the source will be available 1Q/2013. The quarter is over and the community has no feedback. Hello Pavol, at the moment we have no plans to have 7.0 source codes open, but you can get use of the Hybrid cloud solution. Ok, that sounds a bit … difficult to understand. I’ll try to ask as simple as possible. Is the open source version with release 7+ dead or do you just have no release date for it at the moment? Would be nice if this gets cleared up, we still evaluate some software and don’t know what we will use in the near future. Hello Maerad, we can’t of course say “dead” about open source release, it’s just that it’s not on our roadmap currently. If you’re interested in the near future, no, we are not considering to have the codes open. Thanks for the reply Alex! So there won’t be a open source release of Version 7+ in the near future. If I want it, I have to buy the cloud or hosted version. I would appreciate, if your company could release a press news about that and add an info to the sourceforge/Github page, to clear things up. But after all, I can absolutely understand that decision, you need money to keep the company running. Will take a look at the hosted version then. So does this mean that no more open source versions will ever be released, your going to a PAID ONLY system. Hello Bron, we’re not a “paid only” system, open source 6.5 is still available and the latest SaaS version is provided for free to nonprofit organizations. We haven’t stated that “no more open source versions will ever be released”, we just tell you that at the moment we don’t have these plans. Hi Alex, yes I understand, but you used to release the software on updates, as per your old statements, now your holding it back. Server version is not supported, so all you need to do is update the GITHUB files. Perhaps you should consider a paid server version, as most companies are focused on profits and I can understand why your now trying to force the server people onto SAAS or Hybrid by withholding new sources. Haha, most companies won’t just say it, but that’s whats happening.